When Ron moved to Crane’s Mill, bringing his piano was a must. 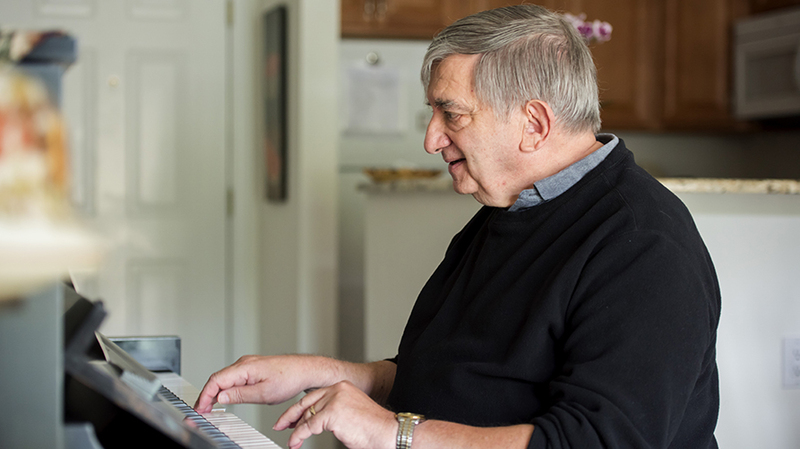 Even in his one bedroom apartment, there’s plenty of room for this long-time, local musical director to tickle the ivories. Close to Towne Square, Ron is only a short, indoor walk to all sorts of opportunities to socialize, including dinner with friends, daily exercise classes, morning and afternoon movies, live entertainment, lectures, and more. Plus, Ron can take advantage of our fully-included transportation service for a quick jaunt to take care of errands or dinner and a show in New York City. Best of all, when Ron returns home, he doesn’t need to worry about cleaning or maintaining his new place–it’s all done for him.